Are you planning for your winter picnic trip in this year ? If not then just plan it. We are giving a best plan for your winter picnic. Select Nayagarh district as your picnic destination. There are many picnic spots, temples and tourist spots available in Nayagarh district of Odisha. See below to get the list of major tourist attractions in Nayagarh and also know more about the Nayagarh Tourism. 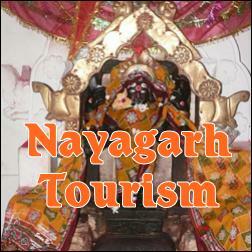 Give Responses for "Tourist Spots in Nayagarh District"